I’m mad as hell and I’m not going to take it anymore! 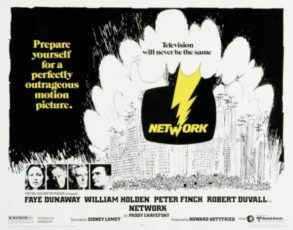 The film “Network” has been praised as a work of keen insight and is KPFA and the New Parkway’s next movie matinee. I’m mad as hell and I’m not going to take it anymore! The film “Network” has been praised as a work of keen insight and is KPFA and the New Parkway’s next movie matinee, Saturday September 22nd. Screenwriter Patty Chayefsky’s clairvoyant vision of the changing television news landscape, predicted the future of media with disturbing clarity. 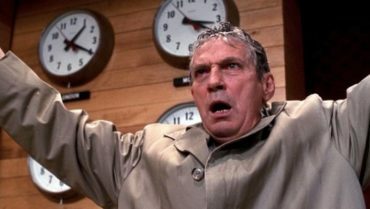 Network, directed by Sydney Lumet is a stinging satire and also a brilliant take of the flaws of our capitalist society. It stars include academy award winners Faye Dunaway and Peter Finch.